Color temperature is the warmth or coolness of a light source. When a light bulb begins to emit light, it turns from a red color to a yellow, white and finally blue color. The temperature of the LED lighting fixtures is measured in Kelvin. Warm light is between 2,700-3,000K, neutral light is between 3,500-4100K and cool light is between 5,000-6500K. LED lighting fixtures which emit cool light promote the production of serotonin, which keeps you alert and focused, while warm light waves promote the production of melatonin, which makes you relaxed, ready for sleep. Depending on the purpose of the room you are designing, you need to use the right type of light to promote the normal function of your circadian rhythm. When you go to your bedroom you want to relax and get a good night’s sleep. To achieve this you need LED ceiling light fixtures which promote the production of melatonin. Invest in light bulbs with a color temperature between 2,700-3,000K, which allow the body to relax. If you want to read before going to sleep, avoid using bulbs which emit blue light and go for medium, neutral light, which provide enough contrast for reading, without sending the wrong message to your body. In the living room you can relax, enjoy an evening with friends or read. 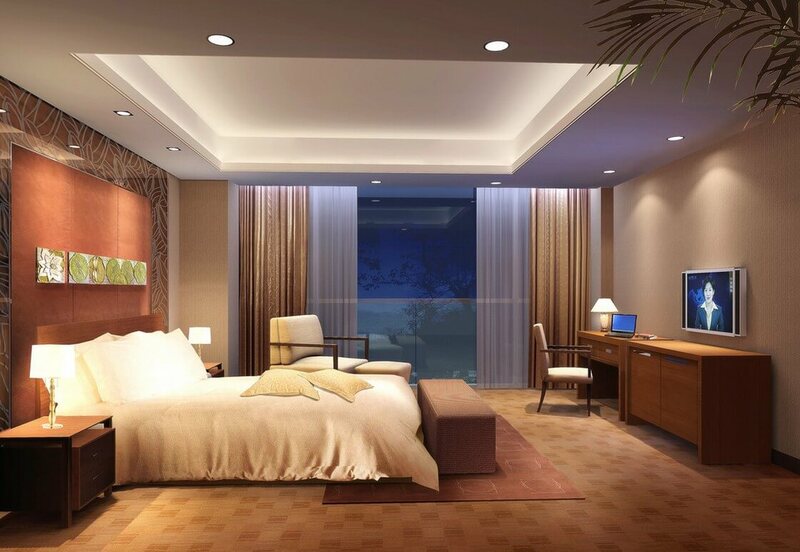 To get the best from your LED ceiling light fixtures you can designate different spaces, with their own type of light. For example, in the reading corner you can install neutral to cool light, which provide a high contrast, perfect for reading. You can also install warm and neutral lights around the entertaining area, which can enable you to unwind quicker when you are watching a movie with friends. Most people end and start their days in the kitchen. For a great morning you need cool light, which will promote the production of serotonin, keeping you alert. 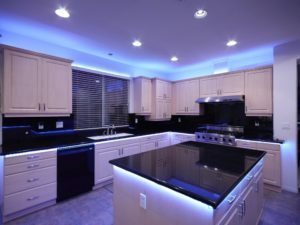 Around the dinning area you can install warmer lights or dimming fixtures, which ca provide a cozier environment. Like the kitchen, you use the bathroom both in the morning and in the evening. However, the typical bathroom activities include shaving and putting on makeup, which require a lot of focus and lots of light. You can install 3,000-5,000K LED lighting fixtures above the shower and neutral to slightly cool lights above the mirror, where you need both contrast and lots of light. Different color temperatures can drastically change the overall atmosphere in a room, so choosing the right lighting fixtures can enhance your interior design and promote your well-being.